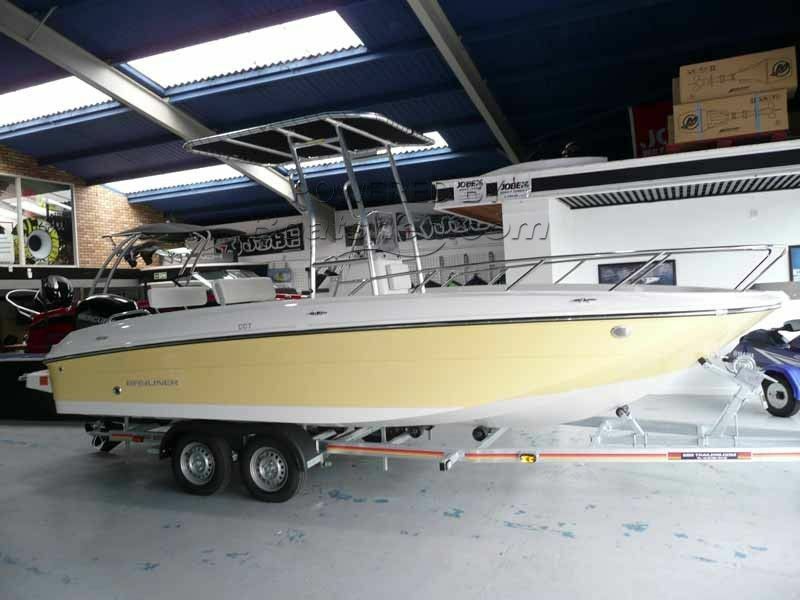 A fantastic addition to the Bayliner range with this new model, multi-purpose boat, finished in pale yellow and white hull with full "T" Top frame & cover. Stainless steel upgrade package, cockpit table, stereo radio MP3 ready, depth gauge, compass, helmseat with Cooler Box and stainless steel deck rails. Mercury F115 outboard engine complete with hydraulic steering. This Bayliner CC7 has been personally photographed and viewed by Chris Tindall of Boatshed North Wales. Click here for contact details.